I recently re-read this staple of high school English classes and was amazed at how much better it is to read it as an adult. There is a reason this book is often classified as “the” great American novel; it is filled with deep meaning, humor, history, and moral meaning. 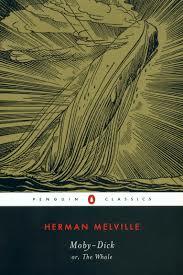 Melville clearly understood the whaling industry, but the brilliance of this novel is that he uses the journey as a metaphor for the human condition. It is an existential “Nantucket sleigh ride” that requires careful reading and reflection, and rewards in an understanding of the modern condition.